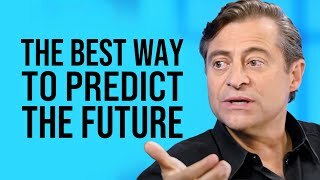 Peter H. Diamandis (/diːʌˈmændɪs/; born May 20, 1961) is a Greek–American engineer, physician, and entrepreneur best known for being the founder and chairman of the X Prize Foundation, the co-founder and executive chairman of Singularity University and the co-author of the New York Times bestsellers Abundance: The Future Is Better Than You Think and BOLD: How to Go Big, Create Wealth, and Impact the World. He is also the former CEO and co-founder of the Zero Gravity Corporation, the co-founder and vice chairman of Space Adventures Ltd., the founder and chairman of the Rocket Racing League, the co-founder of the International Space University, the co-founder of Planetary Resources, founder of Students for the Exploration and Development of Space, and vice-chairman & co-founder of Human Longevity, Inc.
Peter Diamandis, acknowledged globally as pioneer of the innovation, was in São Paulo to discuss the role of exponential technologies in civil construction and how they innovate to create sustainable solution. 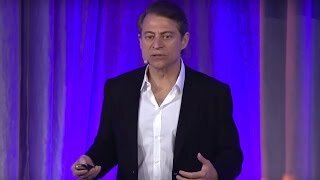 Peter Diamandis shares how we are rapidly heading towards a human-scale transformation, and how we live in an era of abundance. 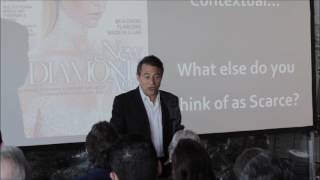 Peter introduces us to exponential thinking.